Welcome everyone to another weekly dose of all the goings on at the Club as well as some useful tips and equipment news! Remember to keep up with daily happenings please like our Facebook page (www.facebook.com/hartfordgolfclub) and give us a follow on Twitter (@HartfordGolfC), also if you get a chance a good review on Google or Facebook would be much appreciated - we may even give you a little present if you do! Our hard working Greenkeeper Alan Royle is also a keen golfer and he used a bit of local knowledge on Sunday to take first place in the Benny Trophy, the course was presented in magnificent condition and the sun was shining so it was a perfect day for golf. Playing off 18 Alan played the front nine well in this bogey competition with a score of 3 up, a steady back nine helped him reach the winning score of 4 up. Steve Simmons was the runner up on 3 up and Chris Whalley finished third on 2 up. This Saturday we play our second Major of the season and there looks to be a full entry sheet for the Barnes Trophy which starts at 11am, hopefully we'll get some more good weather and there will be a barbecue after the golf starting at about 4pm, then at 5pm the FA Cup Final will be shown live in the clubhouse - it doesn't matter if you're not playing in the competition, everyone is welcome! Over the last couple of years our Captain's seemed to have played well during their years of office and this season it looks like being the case again as Captain Paul Underwood added a Midweek Medal victory to his recent runners up spot in the Inaugural Trophy. With the good form of our Captain's there's no pressure at all on next year's incumbent Ian Wharton!! Paul's handicap has dropped to 15 after his fine nett 65 on Wednesday, he had an excellent birdie on the fourteenth hole and only had worse than a bogey on the ninth hole after a visit to the water. Another in form player in Bobby Williams came second with a nett 67 and his round included two birdies, Patrick Scanlan was third on nett 70. Captain Paul had a visit to the ninth pond (maybe he did it on purpose to help his chosen charity!) so he had to do his bit and donate £1 to local The Russett School who are trying to build a new sensory room for kids, if you do put a ball in the pond in a competition or a social round please donate £1 to the charity by posting your coins in the box in the conservatory. The form lady at the moment is definitely Alaine Britton as she won on a Thursday for the second week in a row, this time her win was in the Clare Cup - a competition generously sponsored by lady member Jean Clare. Alaine had a brilliant round of nett 66, and she dropped just seven shots in her last eight holes in a strong finish to her round, her handicap now drops to 28, well done Alaine! Di Sommerville has also been playing well and she took runners up place with a nett 70, Jill Bebbington came third with nett 72, Sandra Peake won the nearest the pin prize. An eight player ladies team went to Woodside Golf Club last week for a friendly match, unfortunately there was a deluge of rain when the ladies were just halfway round so the match was stopped after nine holes, but the good news is that at that stage our ladies were winning 2.5 to 1.5 so it goes down as a victory, well done ladies! 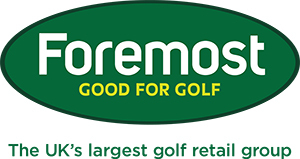 Here's a simple question for you - would you like to hit better shots and enjoy your golf more? If the answer is yes but you haven't been custom fitted yet for your clubs then you are definitely missing out! 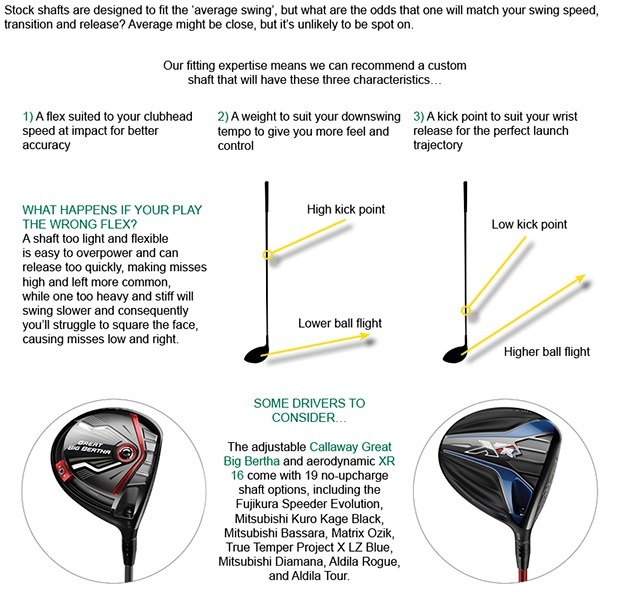 With a custom fitting session we can almost guarantee to improve your shots for you with equipment suited to you and therefore you will enjoy your game that much more, further to this with the CES we will also give you a FREE follow up lesson with one of our pro's to check your technique is right - you can then use your new clubs to their full potential! The success stories we have had have been countless, for example all three of this week's winners that you have just read about above have recently had clubs custom fitted by us. 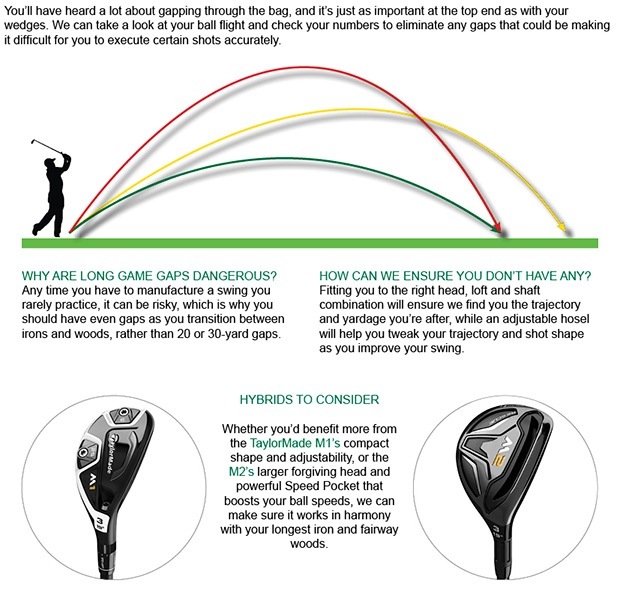 Have a look at this video from PING with all the info you'll need. You really haven't got anything to lose and there's no point waiting until the season is gone - now is the time there won't be a better offer all year, contact us here to get your fitting session booked in. There were 40 seniors playing on Tuesday in their nine hole Texas Scramble, the sun was out and the scoring was good. The winning team blitzed around the course in a score of just 20.5 and they were John Gunning, Brian Singleton, Pete Dawson and Pete Earlam. - £50 trade in deal on ANY new SkyCaddie GPS model, £50 off the purchase price when you trade in ANY old GPS unit whether it works or not!! - Fantastic Cleveland wedge deal - buy one get second half price! - Golf Junkie slipovers were £29.99 now just £14.99 or buy two for £24.99! !